In recent years Cygnum Timber Frame has established itself as one of the leading timber frame manufactures in the UK Education sector. 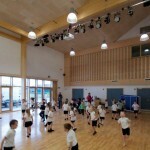 Current projects include primary, secondary and 3rd level buildings. 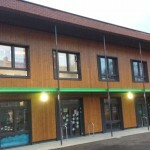 The first large scale educational build was Oak Meadow Primary School, Wolverhampton which was one of the 1st three primary schools in the UK to receive Passivhaus certification in February 2012. 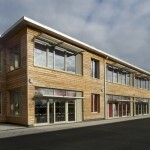 Oak Meadow also went on to win the ‘Non Domestic Category of UK Passive House Awards in 2012. Airtightness: Minimise air leakage from building. Thermal bridging: Minimise cold bridges formed by structure in the insulation zone. U Value: Reduce the wall U Value to 0.13 W/m2K. Cygnum was able to design an external wall system which was not only economical to produce it surpassed all the rigorous Passivhaus tests. 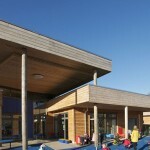 Following on from the success of Oak Meadow, Cygnum was asked to provide the timber frame for Cwm Ifor Primary school Carephilly, Wales and Wilkinson Primary School, Wolverhampton. 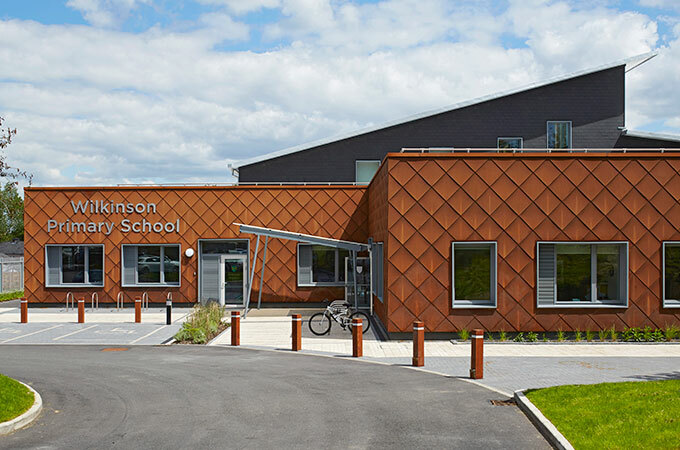 Both projects were commended for exceptional indoor comfort, utilising high levels of natural light and excellent ventilation to create a healthy and positive atmosphere that helps motivate the pupils and aid concentration. Cygnum Timber Frame is currently involved in the construction of the The Enterprise Centre at The University of East Anglia, dubbed by the press as the UK’s greenest building, has been designed and is being delivered to achieve the Passivhaus standard and a BREEAM outstanding rating. 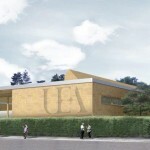 The new university building aims to encourage new sustainable businesses from graduates who emerge from its academic research programme and those involved in activities within the wider Norwich Research Park. 100% of the timber frame has been engineered, manufactured and erected by Cygnum. The project is due for completion in May 2015. 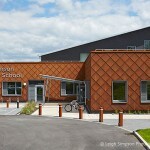 Cygnum was also instrumental in the construction of the first registered Passivhaus school in London, Stebon Primary School. Burry Port Community School, Wales. BerryMeade, Primary school, Ealing, London. Find more details on our case studies page or contact us for more information. “Cygnum’s Passivhaus experience coupled with their hands-on and collaborative management approach to the design-development and construction of the timber structure was instrumental in the success of this challenging and unique project for Kier. Problems were encountered but they were addressed and resolved without drama”.